Since the September 11 2001 twin tower attacks, there has been renewed interest in the questions of Islam, political Islamism and jihadism. Books have been published by the truckload, seminars bringing together various political scientists and experts have been held, reams of papers analysing the origins and trajectory of political Islam have been published, and the airwaves resonate with talkback from pundits about the impact of Islam and Islamism in the world. How can one make sense of all this? Where does one begin? 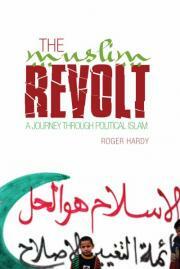 A great place to begin understanding this engaging topic is the slim, well-written, evocative and powerful volume by Roger Hardy called The Muslim Revolt: A Journey through Political Islam. Hardy is a veteran correspondent with the BBC World Service, and has published articles in many major newspapers such as the Economist, International Affairs and the New Statesman. Hardy traveled around the Middle East and various Islamic countries to gain an insight into their culture, political grievances, and responses to the West’s incursions. Hardy’s volume avoids all the prejudicial stereotypes, the fear-mongering portrayals of bomb-throwing head-bobbing mullahs on the verge of overrunning ‘our’ Western civilisation. Instead, he approaches his subject with humanity and understanding, seriously addressing the grievances and issues that have fuelled a Muslim revolt in our times. Hardy begins his study by tackling the difficult yet necessary task of defining what Islam is, its basic features, and distinguishing it from the modern incarnation of political Islamism. What are the defining features? Hardy suggests that Islam is above all a religion of justice, commanding the faithful to do right and forbid wrong. How do you interpret rightful behaviour? That is where the interpretations of Islam begin to differ. While the Quran does state that ‘there is no compulsion in religion’, many mullahs have interpreted the Quranic texts in a more authoritarian spirit, as Hardy goes on to document. The debate between Islam and the West did not remain purely ideological for long, because the domains of Islam expanded enormously since the passing of Muhammad, the founding philosopher-leader. The European Christendom had to confront an alternative civilisation rapidly becoming a superpower in its own right across the Mediterranean. Europe’s first, fiery encounter with Islam, the Crusades, left a bitter legacy and poisoned relations between the two great civilisations for hundreds of years. The First Crusade in 1095 AD in particular, set the foundation for enduring animosity. We can hear the echoes of this conflict right down to today; when George W Bush was president, contemporary jihadists referred to him and his administration as ‘crusaders’, intent on a clash of civilisations. Interestingly, today’s evangelical Christians interpret the Muslim world through a similar ‘clash of civilisations’ prism, although arriving at different conclusions. As the Islamic Arabs spread out from the Arabian peninsula with their new doctrines, transformed from warring tribes into a reasonably united confederation, Islam became a superpower. But as Hardy points out, “contrary to popular belief, the Arabs did not as a rule impose Islam at the point of a sword.” The Arabic language and religion spread, particularly between the tenth and thirteenth centuries, as a practical response to the pressing needs of administering an expanding empire. Having conquered the Byzantine and Persian empires, the religion of Islam was one surefire way of uniting all the disparate ethnic groups under the Arab authority. While Islam remained largely confined to the Middle East, European powers felt they could contain its spread. However, with European colonisation, direct encroachments in Muslim territories and countries provoked the first political Islamist response. Direct European attacks on Muslim lands – starting with Napoleon Bonaparte’s Egyptian expedition in 1798 – compelled the Muslims of Egypt to produce a concerted response. What was that response? At first, as Hardy says, it was a mixture of puzzlement, fear and resistance. Napoleon brought with him not only soldiers and engineers, but also scientists intent on studying this new, fascinating civilisation. They analysed Egypt’s extraordinary history, documenting its wildlife, making maps and introduced electricity. The big question of the day for Egypt’s Muslims was how to respond? After going through the reactions of fear and puzzlement, one suggested response was synthesis. Muhammad Abduh (1849-1905) was an Egyptian reformer who stated that while the religion of Islam must be followed closely, Islamic teaching is not incompatible with the modernisation introduced by the Europeans, and indeed science must walk hand-in-hand with religion. Here we can see the beginnings of a political response to European colonisation and the germination of political Islamism. While Abduh admired European education, he strongly opposed European colonisation. Abduh, while studying at Al-Azhar, the pre-eminent Islamic university, advocating reforming Islam and modernising Egypt. One can observe the combination of religious piety and nationalist political sympathies in Abduh, which are the defining characteristics of political Islamism. While he desired Egypt to remain true to the Muslim precepts, he proposed that Muslims must revive and expand the practice of ijtihad, independent reasoning. Abduh had a great influence on subsequent reformers, but did not make much headway in making an organised effort to confront European colonisation. Other nationalist parties took the lead in confronting French and British colonialism in Egypt. The first organised political Islamist group was the Muslim Brotherhood. This organisation, founded by Hassan al-Banna (1906-49) in 1928, was the first overtly Islamist group. Banna viewed Islam not just as a religion and a way of life, but also a political and social philosophy. Out of the Muslim Brotherhood grew various other Islamist groups, and Muslim thinkers from other countries traveled to Egypt to study the example and doctrines of the Muslim Brotherhood. While advocating Islamic rule in Egypt, it opposed the secular nationalism of the political Left and the regime of Gamel Abdel Nasser. The Brotherhood has been used by the Egyptian authorities at various times as a weapon against the organised Left, but the Brotherhood has always maintained its ideological and organisational independence. Banna succeeded in creating a modern, coherent social movement in competition for influence with the socialist and nationalist parties. Hardy dedicates different chapters of the book to various Islamic countries that he has traveled through; chapter five is called ‘The Pious Ancestors’ and examines the history and politics of Saudi Arabia. Hardy analyses the doctrine of Wahhabism, the official state ideology of that state and its role in incubating and exporting jihadist extremism. Saudi Arabia, being the cradle of Islam and the site of its most revered places, is based upon an alliance of convenience between the House of Saud, the ruling royal family, and the founder of Wahhabism, Muhammad Ibn Abdel-Wahhab. Wahhabism has gained a deserved reputation for intolerance and authoritarianism, and one of its most important thinkers, Ibn Taymiyya (1263-1328) intended to purge Islam of what he believed were heretical ideas. What is interesting is that since the foundation of the modern Saudi state in 1932, the principal ally and benefactor of Saudi Arabia has been the United States. The main reason for this alliance of convenience is to be found in the mutually beneficial commercial exploitation of the massive oil reserves beneath Saudi Arabia’s feet. Back in 1979, a young Saudi prince by the name of Osama Bin Laden was studying at Jeddah university. Saudi Arabia offered its services to help organise an anticommunist jihad in Afghanistan, in response to a socialist revolution in that country. The December 1979 Soviet invasion of Afghanistan galvanised the Islamic countries in the Middle East to increase their organised assistance to the anticommunist Afghan mujahideen, assistance which had begun six months prior to the Soviet invasion. In chapter three, ‘Culture of Jihad’, Hardy examines the role of Pakistan and the United States in creating the largest anticommunist, religious insurgency of the twentieth century. Pakistan, created specifically as a homeland for Indian Muslims, has always had a troubled relationship between its religion and politics. While Muhammad Ali Jinnah, the founder of Pakistan was a secular liberal viewing Islam as part of the cultural heritage of the new nation, the subsequent military rulers of Pakistan embarked on a strong program of Islamisation. General Zia ul-Haq, whose eleven years in power saw the application of Islamisation to all aspects of Pakistani life, also made Pakistan (along with Saudi Arabia) a front-line state in the jihad against atheistic communism in Afghanistan. Bin Laden was just of thousands of participants in the anticommunist Afghan jihad. While the role of Pakistan in nurturing and exporting jihadist fanaticism is well-known, Hardy examines the internal impact of Zia’s Islamisation programme. Zia introduced punishment by amputation for theft, and public flogging for adultery. Instilling Islamic values into the education system, he enmeshed the educational institutions with the religious schools, the madrassahs. Zia was drawing his inspiration from the one of the foremost Islamist ideologists of the twentieth century, Abul-Ala Maududi (1903-79). Maududi was born prior to the partition of the Indian subcontinent, and envisioned an independent India under an Islamic system. He created an alternative political party, the Jamaat-e-Islami, (the Islamic Party) to promote a political system based on Sharia law, opposed to what he saw as the false idols of nationalism, secularism and socialism. The Jammat-e-Islami is one of the strongest political parties in Pakistan until today. The withdrawal of Soviet troops from Afghanistan in 1989 had far-reaching consequences for that country, the region and the world. Afghanistan was left to the tender mercies of the mujahideen groups, who proceeded to turn on each other in a vicious civil war from 1992 in which Kabul itself was decimated. The city had been untouched during all the years of Soviet occupation. They imposed their version of Sharia law in Afghanistan, which among other things, forced women out of the workforce and compelled them to veil themselves. The protagonists in the Afghan mujahideen sought to Islamise Afghanistan, Pakistan, and then export their doctrine to the rest of the world. While Hardy explores the background of this jihad, he is careful to avoid the simplistic stereotypes that have become the popular image of Islam and Muslims in the mainstream, corporate-controlled media. Saudi Arabia is not the only Islamic country to have aligned itself strongly to the western orbit. Turkey has been a longstanding ally of the United States, one of the oldest countries of the NATO alliance, and is (in theory at least) a secular republic. Its constitution expressly forbids any interlinking between the state and Islam. Turkey has no official state religion, and wearing the burqa is banned. No political party is allowed to represent any form of religious belief. However, Islamist parties have formed and gained representation in the Turkish parliament. Hardy examines the trajectory of the Turkish example, beginning with the collapse of the Ottoman empire and the westernisation programme implemented by Mustafa Kemal Ataturk. He reformed the country’s judicial system, abolished the caliphate, and revised the alphabet to take on western characters. However, the most important and ongoing battle in Turkey between the Muslims and secularists is in the classroom. Hardy persists with his questioning, and asks how they handle the theory of evolution in the school. The head teacher says he disagrees with evolution, but teaches it anyway according to the curriculum. The students in the school then learn about Islamic philosophy, and how God created the world according to religious precepts. This underlying kulturkampf – culture-struggle is the word Hardy uses – is occurring throughout the Muslims world, and has familiar undertones in the West. We are undergoing our own kulturkampf, with the creationist/intelligent design lobby to push for strict biblical inerrancy to be taught in schools. The struggle is far from over. The creation-evolution controversy is hardly confined to the Muslim countries, and is being played out in Turkey paralleling the similar debates in Christian-influenced Europe, Australia and the United States. While there are many interesting chapters in the book, the most engaging and riveting for me was chapter eight entitled ‘The Bomb in the Turban.’ This chapter examines the polarising and often acrimonious debate around the so-called ‘cartoon affair.’ This refers to the 2005-06 publication by a conservative, rightwing Danish newspaper, the Jyllands-Posten, to publish a number of cartoons lampooning Islam and the prophet Muhammad in particular. The publication of the satirical cartoons provoked a backlash among Europe’s Muslims, many protests and demonstrations resulting in violence. Hardy re-examines the ‘cartoon affair’, which was in many ways a re-run of the 1989 Rushdie affair. Both involved cultural materials deemed blasphemous to Muslims, both involved issues of free speech. Should a cartoonist or author be free to publish materials that are openly mocking of any religion? Are the members of the offended religious group entitled to respond to the way they see fit, including sanctioning those who republish and re-broadcast such materials? Hardy goes into some depth regarding these issues. Muslims have been living in, and emigrating to Europe since the 1950s and 1960s. Many commentators saw the cartoon affair and the resultant Muslim response as evidence that Islam is inherently incompatible with Western values, and that Muslims in Europe form a kind of Trojan horse for the infiltration of Muslim ideas and eventual implementation of Sharia law in the countries in which they live. Hardy does not go into such ‘sharia hysteria’, but offers a more nuanced view. The Rushdie affair not only highlighted the Muslims presence in Britain and Europe, but also ignited the idea that Muslims were a potential recruiting ground for radical jihadist groups. Any author or publisher has the right to freedom of speech, and I think that religion is a legitimate target of satire. With the cartoon affair, I think that the newspaper editors of Jyllands-Posten deliberately orchestrated a campaign to further whip up xenophobia. The cultural editor of the newspaper, admitted seeking to deliberately provoke Muslim sensibilities, thus poisoning relations between the Islamic and non-Muslim communities. When the initial publication of the cartoons in September 2005 failed to produce the anticipated response, the editors of the newspaper continued their inflammatory campaign, inciting the more fundamentalist sheikhs and groups in Denmark to protest. Anders Fogh Rasmussen, the Danish prime minister until 2009 and head of the conservative Liberal party, is also responsible for failing to resolve the issue, and instead escalating tensions. As head of a rightwing coalition government with the anti-immigrant populist Danish People’s Party, he needed the votes of openly racist and anti-immigrant voters to stay in power. Rasmussen turned down appeals by the ambassadors of Arab countries to discuss and resolve the issue. Even after Danish politicians urged him to reconsider, he still refused. His failure to reduce tensions, even after explicit overtures made to his government, is a monumental failure on his part. Under Fogh Rasmussen’s leadership, Danish politics has stampeded to the right, with Danish troops participating in the US war on Iraq, and further restrictions placed on the country’s immigration. As a result of issues like the cartoon affair, the anti-Rushdie demonstrations and the terrible terrorist bombings in Madrid and London, relations between Europe’s Muslim and non-Muslim populations are dominated by fearful, prejudicial stereotypes, media headlines of ‘honour killings’, headscarves and seeming irreconcilability of Islamic values with the broader European societies. Hardy’s book goes a long way to critically examining the political and social grievances that alienate many of today’s Muslims – unemployment, discrimination and xenophobic attacks by anti-immigrant populist European parties. And the editors of Jyllands-Posten got what they wanted; mobs of angry Muslims, goaded by fundamentalist mullahs, attacking Danish embassies in Europe holding signs with slogans such as ‘behead those who insult Islam’. Hardy ends the chapter on an optimistic note; integration is a daily reality he says; perhaps uneven and incomplete, but a reality nevertheless. Hardy invokes his readers not to succumb to the ‘politics of fear’, and recognise that the vast majority of Muslims successfully integrate into their respective host countries. I think it is imperative to address the same ‘bread-and-butter’ grievances of the Muslims populations, issues that concern all people of the working class; unemployment, working conditions, education, health care and so on. I think by uniting with immigrants and Muslims on the basis of our common working-class issues will go a long way towards breaking the bigotry and stereotypes that so often distort our thinking. In the defence of democratic rights, including the right to worship freely, the Muslim communities will realise that a common humanity unites all of us who wish to live in a more just, equitable, humanitarian and socialist society. There is so much more in Hardy’s rich and absorbing volume; the Sunni-Shia schism, the 1979 Iranian revolution, the Muslims archipelago of Malaysia and Indonesia. Including all these subjects here would only make this review unwieldy and cumbersome. Suffice it to say that Hardy’s main message from the book is that while Muslims around the world feel aggrieved, there is no one universal Muslim uprising from Palestine, to Iraq, to Kashmir, to Afghanistan, to Europe. At the basis of each case are local grievances, unresolved political and economic issues, and social exclusion. While the uncritical support of the United States for the Zionist state of Israel and its denial of Palestinian human rights is a ‘hot-button’ issue, each national case has its own peculiarities and solutions. Hardy quotes Douglas Hurd, the former British foreign secretary, stating that “we feed terrorism….by killing a lot of people, whether in Gaza or in Fallujah or in Chechnya.” Foreign occupation and killings perpetuates and inflames a sense of injustice, thus providing oxygen for fundamentalist mullahs and their jihadist platform to breathe and gain recruits. Hardy’s book is an indispensable volume for anyone wishing to understand the fraught relations with the Islamic world, and move beyond the simplistic bigotry and prejudice of so much hysterical media commentary. That is the title of an intensely fascinating book by British historian Adrian Goldsworthy. The collapse of the Roman empire in 476AD has exercised the minds of historians, sociologists and archaeologists for years. Goldsworthy’s book is admirable for the depth of scholarly coverage and its easy accessibility for the interested reader. While posing the big question in the early chapter – the introduction is called literally “The Big Question”, Goldsworthy provides a sweeping overview of the prolonged internal decline and repeated external pressures that eventually culminated in the fall of the Roman superpower. In 476AD, the last emperor of the Western Roman empire, Romulus Augustulus, was deposed by an invading Germanic general. The various German tribes, organised into a confederacy, had been exerting tremendous pressures on the already-tottering Western Roman empire. The deposition of Romulus merely consolidated an extended process of ‘slow death’ as Goldsworthy puts it. The significance of the 476AD terminus has been questioned by many historians, and Goldsworthy answers the persistent question of why the Roman empire collapsed, but continued, albeit in truncated form, in the east with the Byzantine empire. The Byzantines never referred to themselves in that way, always insisting that they were the true inheritors of the Roman empire. Goldsworthy proceeds to unfold the narrative of the economic and political decline of the Roman empire from 180AD, with the death of Marcus Aurelius, the philosopher-emperor. He examines the crisis of the third century, when from the end of the Severan dynasty to the advent of Diocletian in the mid-280sAD no less than sixty people claimed the title of emperor. While Goldsworthy does not overstate the extent of the crisis, he does state that the Roman empire underwent significant stresses, not least of which are the foreign invasions. The Sassanid Persian empire in the east attacked Roman territory, and the western provinces of Gaul, Britain and Hispania broke away to form their own Gallic confederation. The Roman provinces of Syria, Palestine and Egypt rebelled and formed their own Palmyrene kingdom under the Queen Zenobia. This is the first Semitic kingdom, and Goldsworthy goes into some detail about the importance of Palmyra for the Romans as a trading post and its importance as a magnificent city. Zenobia and the Palmyrene empire mounted a serious challenge to Roman rule in the mid-third century. Queen Zenobia was an interesting political player in her own right, and she is one of several women rulers that Goldsworthy examines in his book. He has a whole chapter on “Imperial Women” where he elaborates the intrigues and political power of several important women during the crisis of the third century. There were several energetic and politically forceful women who controlled many of the changing emperors during the third-century crisis. 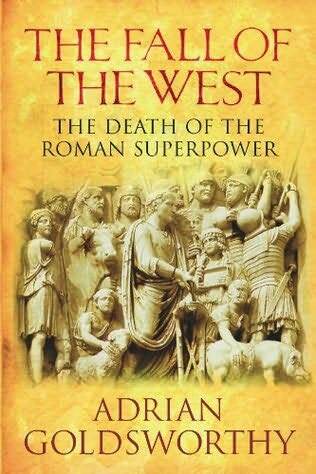 Repeated invasions by the so-called ‘barbarian’ tribes – the Goths – exacerbated the crisis of the Roman empire. However, the Roman still had enough resources and political will to overcome each foreign threat, restore Roman rule to rebellious provinces and restore the legitimacy of imperial rule by the end of the third century. The crisis had been severe, and it indicated to the Roman elite that it could no longer rule in the old way; the way that Rome was ruled in Marcus Aurelius’ time. Diocletian rose to power by the end of the third century, and he initiated a series of reforms that would have far-reaching implications for the future of the Roman empire. Goldsworthy details the creation of the tetrarchy – a system of multiple rulers for the empire – and the administrative division of the geographically vast empire into units of territory to make them more easily governable. Diocletian expanded the Roman government and created new provinces, and with them new governors. His reforms, while successful in the short-term, did not lead to lasting success. Diocletian resigned from office, and all the old conflicts returned, especially the internal divisions with different commanders, summoning military support from their own provinces, launching bids for supreme imperial power. Goldsworthy delves into the transformation of the late Roman empire from paganism to Christianity under the innovative emperor Constantine. The conversion to Christianity has attracted a great deal of attention from historians of the Roman period, and Goldsworthy documents the trials and tribulations of the Christians from the Diocletianic persecutions to the eventual Edict of Toleration by Constantine I. The pressures of successive and increasingly organised Gothic tribes took their eventual toll on the Roman empire. Constantine famously constructed the alternative capital of Rome at Constantinople, and this move along with the formal administrative division of the Roman empire into the Latin-speaking West and the Greek-speaking East demonstrated the decline of Rome’s importance as an imperial capital. An interesting sub-story to the decline and fall of Rome is the later’s retreat from the province of Britainnia. While the island was still part of the Roman empire, and leading Britons still felt an attachment to Roman rule, the province did not have an actual governor for about the last 25 years of imperial rule on the island. Goldsworthy elaborates that many British aristocrats sided with Roman rule and did very well for themselves. The Romans left their unmistakable cultural imprint on the province, and after Rome withdrew from the island in 410AD, the remaining British elites did their best to maintain Roman cultural customs and practices. Britannia was on the margins of the empire, and the majority of the population eventually acquiesced to Roman rule, even though there were serious uprisings throughout the Roman occupation. Britain fragmented into separate communities after the Roman exit in 410-411, so Goldsworthy is careful not to retrospectively impose a British nationalist consciousness on the Britons of the Roman period. While there was a distinct Britannia province, there was not necessarily a unifying sense of British nationalism. Goldsworthy details the debates among historians regarding the collapse of the Roman empire, while never detracting from the historical narrative. Some historians have challenged the ‘decline and fall’ thesis, preferring to speak of a gradual transformation rather than a collapse. Goldsworthy concludes by literally providing “A Simple Answer”. The Western Roman empire collapsed in the fifth century, and those historians who talk of a ‘transformation’ rather than a collapse admit this fact. While the Eastern half of the Roman empire survived for another thousand years as Byzantium, it never approached anything like the superpower status of the Romans. It was merely one strong power among several competing powers, and lost territory to successive conquests by Islamic Arabs, and eventually was overrun by the all-conquering Ottoman Turks. I think the book could have examined one facet of Roman society that was so ubiquitous and important it needs further elaboration; slavery. Goldsworthy does mention slavery in Roman society, but summarily dismisses its importance. While he states that ‘Slavery was a fact of life in the Roman Empire, and indeed every other ancient society’, he goes on to say that ‘Slaves seem to have been rare as the main labour force outside the large estates of Italy’. I think Goldsworthy misses the mark here. The use of slaves, while initially tempting and productive, had outlived its utility by the late Roman empire. The Roman polity, while unified against outsiders, was divided within itself into the slaves, and the slave-owning landlord class. Slavery does not provide any incentive to innovate and develop new means of production; the slave only works through the menace and use of violence. The plebeians, poor freemen, had their own quarrels with the upper classes, and fought to assert their political rights. However, any society based exclusively on slavery is bound to eventually fail economically. Slave-owning could not keep up with trade and free labour as an economically viable method of production and exchange. The cost of keeping an empire swollen by conquests and slaves was so great, that the army became the one force capable of keeping the slaves in line, and the plebeian freemen fighting for conquests. The emperor, also the military commander-in-chief, was the source of patronage. Nepotism and corruption flourished in an environment where anyone could seek favours by connecting with people in power. Increasing numbers of emperors in the late Roman empire originated in the military. Military commanders in the provinces demanded loyalty from their subjects, and used that loyalty to launch challenges to the emperor’s central rule. Periodic rebellions by slaves meant that productivity was interrupted, and with the decline in production, so also trade declined. Slaves, worked to death within a few years, had to be periodically replaced by new military conquests. Those conquests were carried out by plebeians in the army, the very people who would lose out to slave-owning production. The empire was economically rotting from within, making it more vulnerable to attacks from outside. The huge estates of the landlords began to resemble large, semi-autonomous villas or manors, which is the hallmark of a feudal society. The slave-owning Roman society could not sustain itself. The decline and fall of the Roman empire is the source of many historical lessons, and naturally comparisons are made to understand the fall of other empires. The British were fond of comparing their nineteenth-century empire to the Roman, and currently many commentators draw comparisons with the United States and its financial empire. There certainly are lessons to be learned, particularly about imperial hubris when an empire’s policy-makers believe they can conquer any territory and underestimate the degree of resistance by subject peoples. Witness the hubris of the United States in its blundering into Iraq and Afghanistan, wars which were based upon wildly optimistic expectations of quick victories but have become terrible quagmires. There are lessons to be learned about overextending finances into costly unwinnable wars, that drain a society of sorely needed money for internal repair and social services. But Goldsworthy warns against drawing historical analogies too closely. There are broad similarities between the US and Roman empires, but there are enormous differences. While Rome was based on slave-owning and slaveholding landed estates were the norm of production, the US is a major capitalist economy with huge multinational corporations extending into most areas of the globe. Whether the US follows exactly the same course as the Roman empire remains to be seen, but the past does contain valuable lessons if we are to avoid repeating it. Empires inevitably endure a prolonged period of decline, challenged by major competitors. The emergence of the BRIC countries (Brazil, Russia, India and China) and the development of the Shanghai Cooperation Organisation as a counterweight to the US ambitions signals the end of a unipolar world. The late Roman empire had several economic and military challengers, such as the Persians, the Hunnic empire and the Germanic confederations. Goldsworthy’s book is a remarkable and welcome addition to the ongoing debate about why the Roman empire collapsed. As he makes clear, it was a prolonged process, punctuated by military crises and foreign military defeats. He analyses the internal decline as well, stating that ‘each civil war cost the empire’. With each internal conflict, the Roman empire’s authority was weakened, making its conquest ever-more tempting to its external enemies. While the Goths and ‘barbarian’ invaders struck fatal blows, they struck an empire already enfeebled by decay. Goldsworthy’s book is necessary reading for anyone who wishes to explore the reasons for the corrosion and ultimate collapse of the Roman empire.